Time is tight for everyone these days, and some weeks a parent's schedule can seem almost impossible. There's Sunday dinner at Grandma's, Billy has a soccer game, Shelly has a volleyball game, Rover needs to see the vet, Friday is date night and that work deadline is rolling around the corner. The fact that you still have your hair can seem like a miracle. 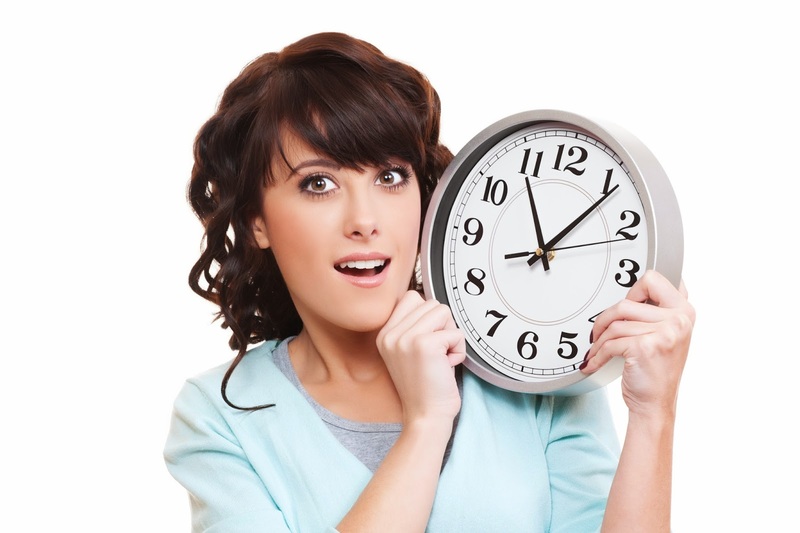 Those who choose to make the time to manage sports teamsare givers. Sometimes it seems you give so much that you're made out of taffy and stretched in 15 different directions. Finding time for you, although important, can often take a back burner to making sure everyone around you, including the volleyball team you manage, has what they need. However, an article in Psychology Today tells us that spending some time alone can make us happier people all around, which can help us help others even more. Think about it; when are you at your sharpest and most pleasant? Is it after four consecutive nights where you were home only to sleep for a measly five hours, interrupted by the realization that you missed the deadline to order uniforms? I'm betting no. Experts tell us the best way to ensure we get some time to ourselves is to actually schedule it. That's right, the same way you scheduled team photos or next week's practice, you have to actually schedule some R&R time (or some wine and cheese time ... hey, we don't judge). Especially at the beginning of a season, things can get overwhelming. You've been there before; you hope the chaos is just because it's the start of a season and that things will calm down once practices and games begin. You've probably learned in the past that you can hope all you want, but it won't fix much. Before next season starts up, take the time to be prepared. The creators of TeamSnap, an online management tool for sports, know the challenges you face because they have experienced those challenges themselves. They are team moms and dads and managers, and they're also folks who enjoy a night to themselves, which is why they set out to make team organization easier. They have three tips for how to best organize a team, culled from their more than 6 million users. 1. Automate everything you can. Is there anything worse than having to have the same conversation a dozen times? Remembering the time and field for every practice and game yourself, let alone reminding a dozen other parents can be exhausting. Using an app, like TeamSnap, can really streamline usually mundane tasks, helping you manage roster information, sync schedules to players' personal calendars, send emails and text messages to everyone on the team and even view game and practice availability for each player. 2. Keep everything in one place. Some team managers have sticky notes on their clipboard of who has paid their season dues and who hasn't, a messy spreadsheet that constantly has to be fixed, a misplaced notebook with important contact information on it, forms to be filled out that the dog ate. It all can be too much. Keeping all the team's information, contact info, medical forms, game locations, calendar, refreshment assignments, player availability, statistics, payment tracking, photos and files and other items synced on a computer and smartphone makes life simple. No more searching the house for that notebook or the napkin you scribbled the new kid's contact info on. 3. Share the responsibility. Consider splitting up team duties, like updating scores, sharing photos or bringing snacks, into small, manageable tasks and ask willing parents to participate. Some apps, like TeamSnap, actually allow you to delegate these responsibilities right from your phone. Even a small level of involvement from other parents can help with team morale and can make families feel more like a community. Streamlining the mountain of team management activities you face every season gets you off on the right foot ... which might then give you time to soak those feet during some much-needed "you time." 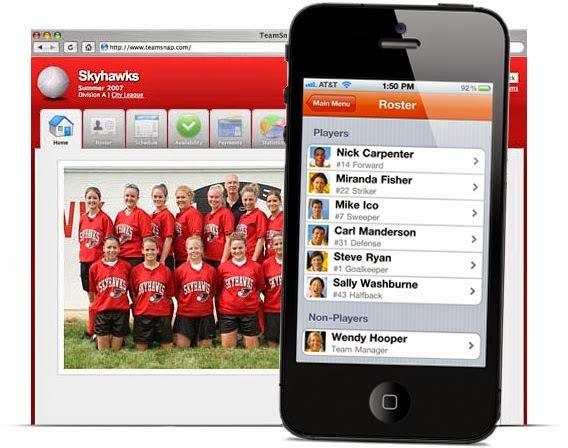 Get your sports team organized with TeamSnap. Sign up for free today and then focus on those aching feet.